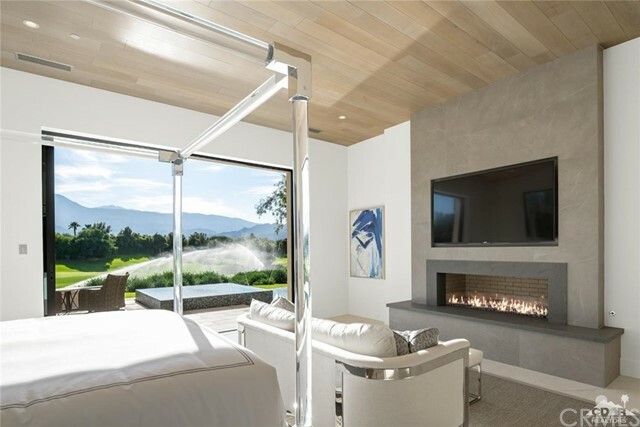 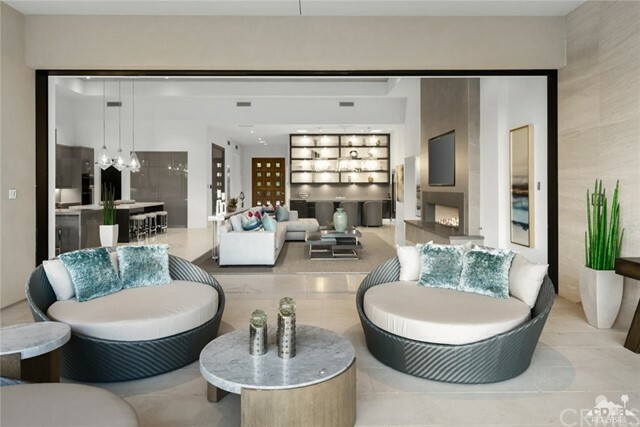 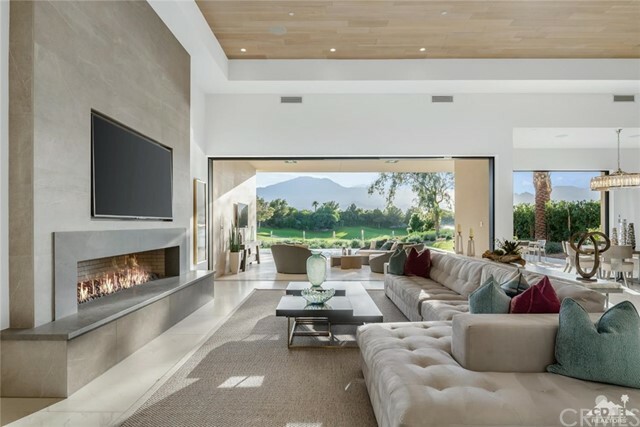 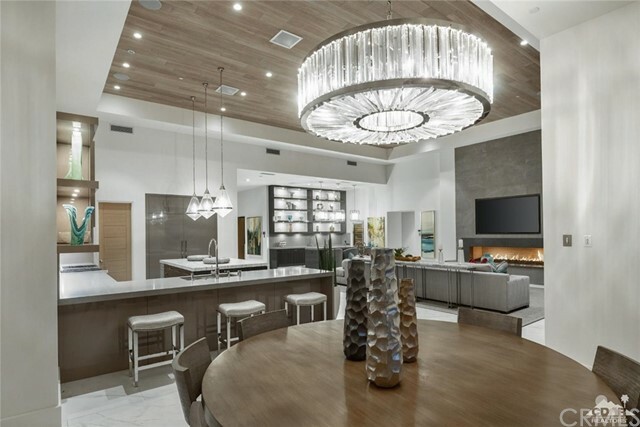 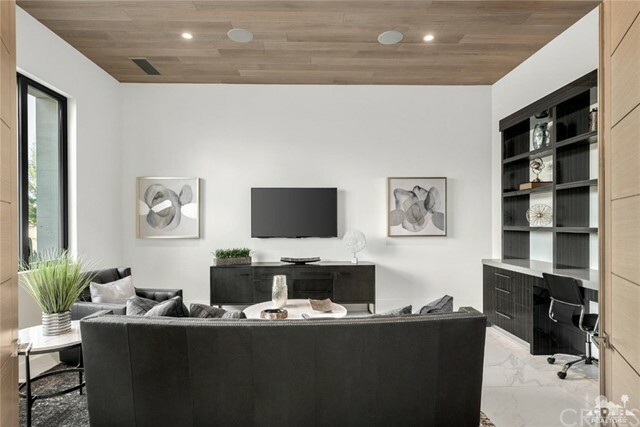 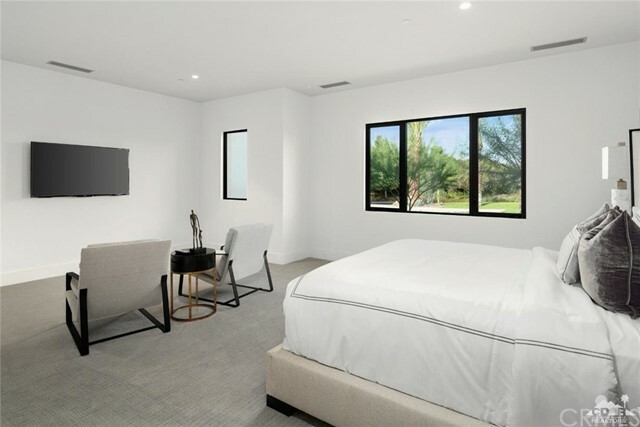 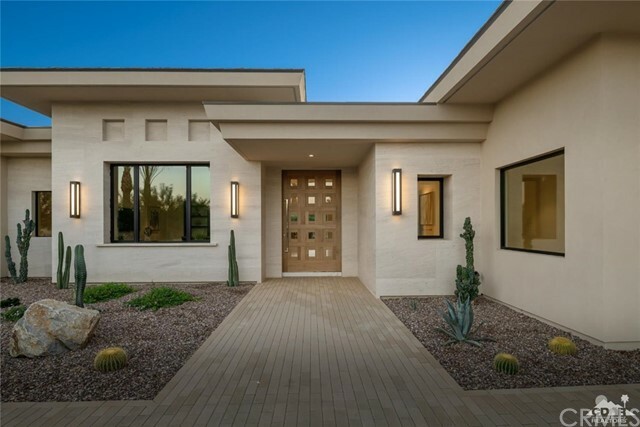 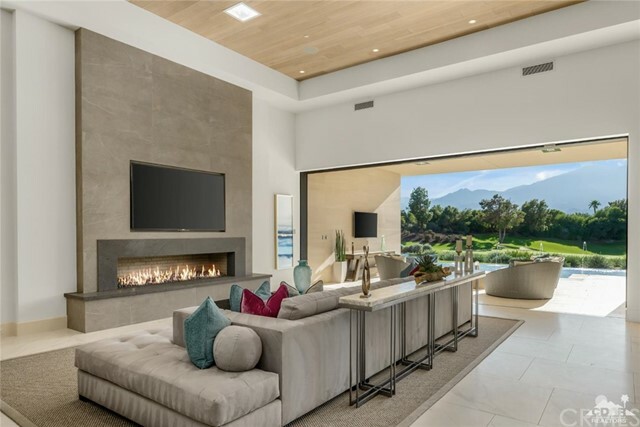 This beautiful, newly-constructed home with classic modern architecture and clean, elegant lines at the prestigious Madison Club is an entertainer's dream! 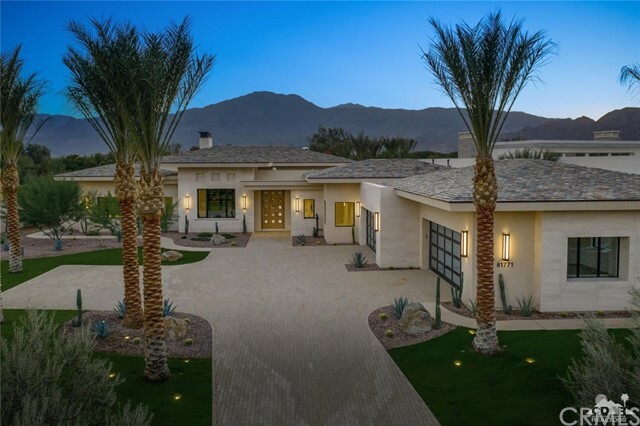 The 6,059 square foot, 4 bedroom, 4 and one half bath plus office / den home features an open and inviting floor plan. 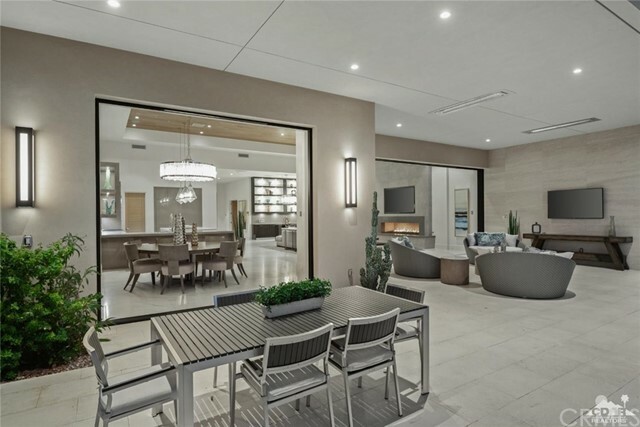 Expansive pocketing doors allow the indoor and outdoor living spaces to blend seamlessly. 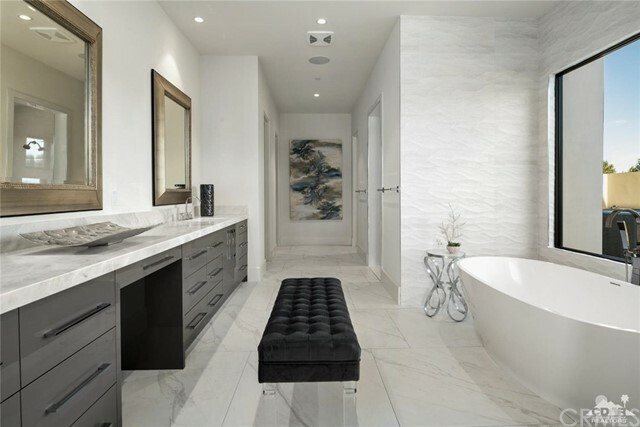 The porcelain tile throughout adds to the sleek design. 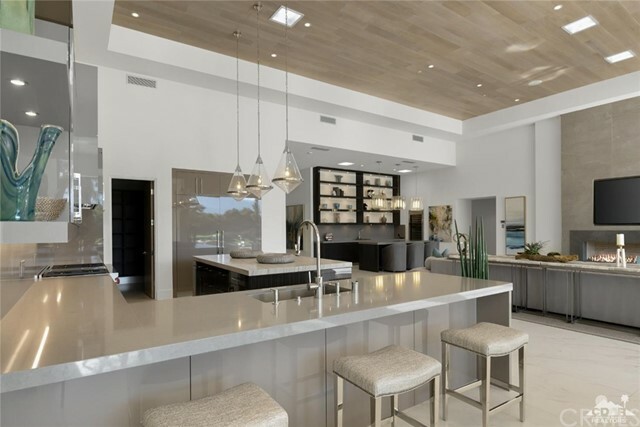 The spacious kitchen is generously appointed with Wolf and Sub-Zero appliances. 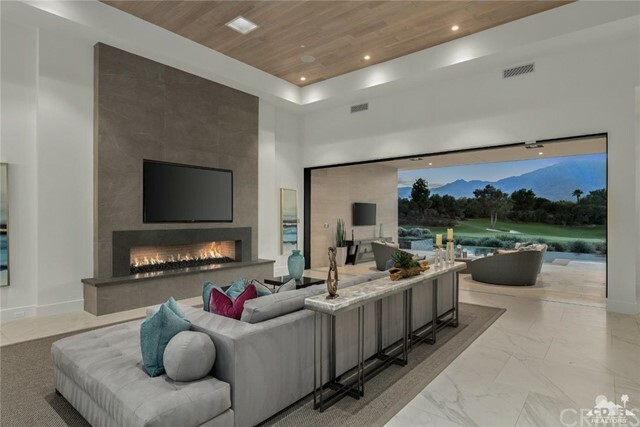 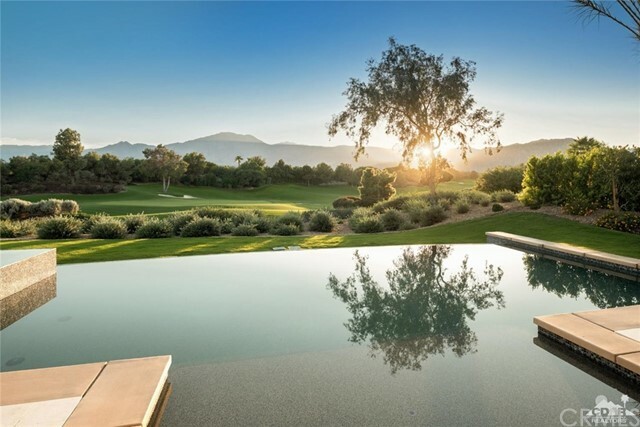 Spectacular views of the 14th green of the Tom Fazio Course and the Santa Rosa Mountains beckon you to relax and enjoy the infinity pool by day and cozy fire feature by night. 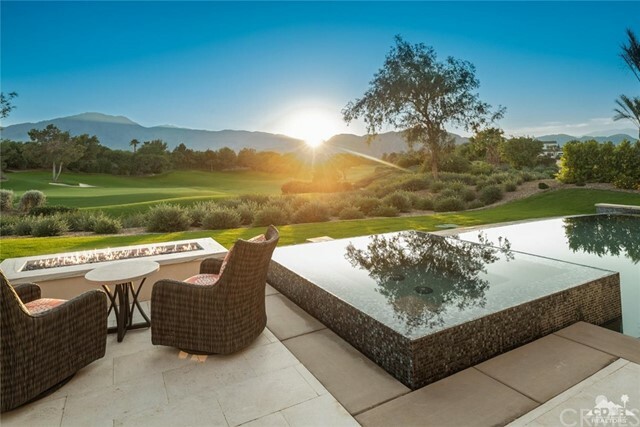 The sunsets are absolutely stunning! 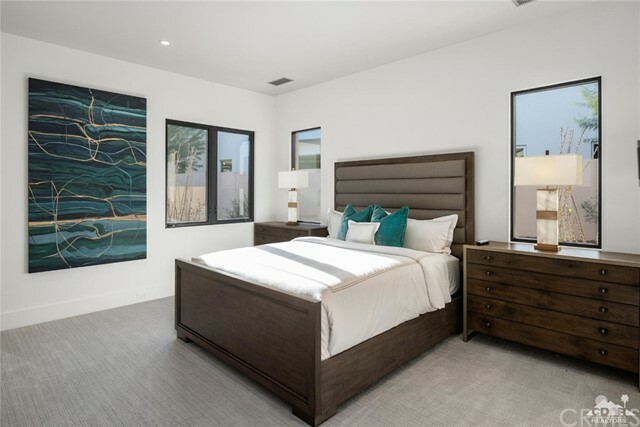 Offered designer furnished.